The King Soopers Gift Card Fundraising Program supports the ministries of FPCL every time you shop at King Soopers. In the past year, our church has earned an average of $600 per month just by folks like you using their card when purchasing gas and groceries. Get your card now by contacting Sue Chandler or email her at mesue35@aol.com. Give them to friends and family … the cards cost nothing to use and earn money for FPCL simply by doing the shopping you were already going to do! Each time you shop, reload your card. You can use cash, checks, or a charge card to reload up to $500.00 at a time. There is a five minute delay once you reload before the funds are available. The gift card must be reloaded in a SEPARATE transaction prior to your groceries being scanned. It is very easy to reload your gift card; cards can be reloaded at the register or Customer Service Desk for any amount up to $500. When a card is reloaded at customer service or a register other than where your groceries are scanned, there is a 5 minute delay before funds are available. Gift cards must be reloaded in a separate transaction prior to your groceries being scanned. There are 4 ways to obtain a gift card balance. The balance will be printed on the bottom of your receipt; visit gcbalance.com, call 866-822-6252, or your cashier may check your balance. Will the gift card be identified as a fundraising card? Yes, there will be a sticker on the card indicating it is for FPCL to deter you from throwing the card away. Where can I use my King Soopers gift cards? 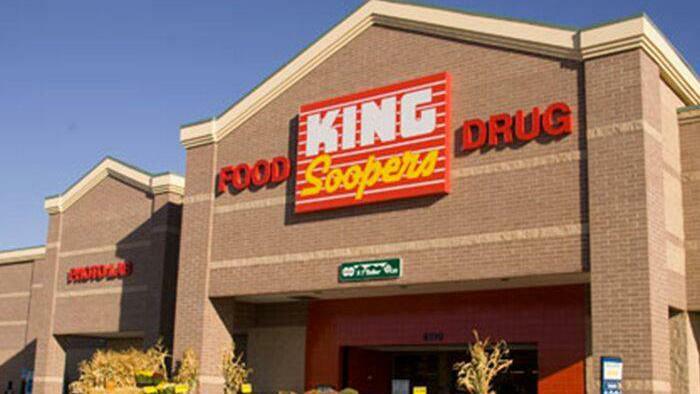 King Soopers gift cards are accepted at most Kroger affiliated stores throughout the U.S. These include Kroger, Fred Meyer, Ralphs, Fry’s Marketplace, King Soopers, Dillons, Smith’s Food & Drug, City Market, QFC, Food 4 Less, Owen’s Foodsco, Hilander, Pay-Less, Cala-Bell, Baker’s. Jayc, Fred Meyers Jewelers, Littman & Barclay Jewelers. They cannot be used at Loaf and Jug unless they are affiliated with King Soopers. King Soopers gift cards cannot be used to purchase other gift cards for any store. Gift cards may be used at King Soopers or City Market fuel centers! What if I throw away or lose my card? Just as with any gift card sold, we cannot be responsible for lost, stolen, damaged or destroyed cards. A new card will need to be purchased from FPCL. Cards with a zero balance for 90-days will become inactive and a new card will need to be purchased.